More and more people are embracing unusual and poignant ideas for making funerals special. Unique personalised touches can be a fitting way to say goodbye to someone special. 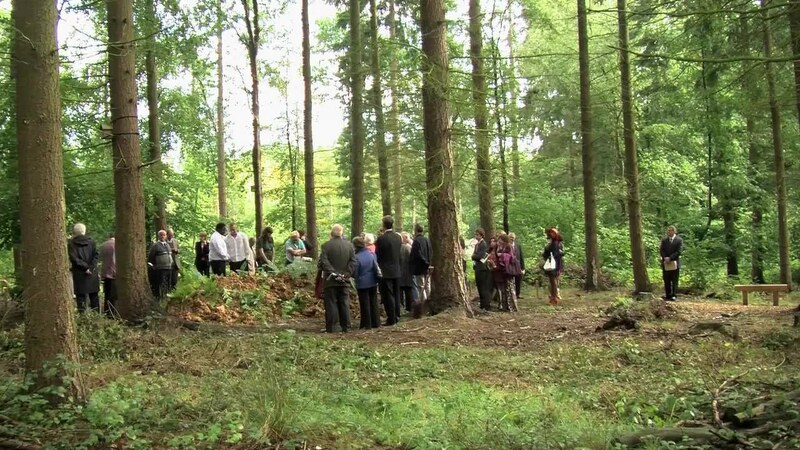 For a free information booklet on Woodland Burials, please let us have the following details. Oystermouth's woodland burial ground offers a natural alternative to conventional burial and cremation options. Whilst woodland sites have been established already in various parts of Britain, this is the first of its kind in Swansea and South West Wales and there are many features associated with it that certainly make it unique. There is increasing concern within society for the protection of the environment. However, many people do not realise that, since 1949, woodland clearance has increased and over 50% of our ancient woods (more than 35 million trees) have been lost. This loss is not only to the landscape but to the associated wildlife. A single mature oak can be a home to several hundred species of insects, birds and mammals whilst the bark supports many mosses and ferns. Oystermouth's woodland site is managed as an area where new trees are planted to complement existing mature trees - all being allowed to flourish and remain, whilst also being able to accommodate burials. This approach reinforces the concept of life's regular renewal, and it offers the opportunity to contribute to the future quality and health of the natural environment, and in doing so to create a meaningful memorial to past lives. This can have a particular significance for those coming to terms with their own mortality or having to face the permanence of a loss they have experienced. Each burial will help to enhance the woodland habitat whilst every woodland grave offers the opportunity for those departed to 'return to nature' and help contribute to the formation and preservation of a natural and beautiful woodland. This service is available to people of all beliefs and denominations and encompasses funeral services and ceremonies, both religious and secular, and provides for the emotional and spiritual needs of the bereaved or of those who wish to plan for the future during their own lifetime. 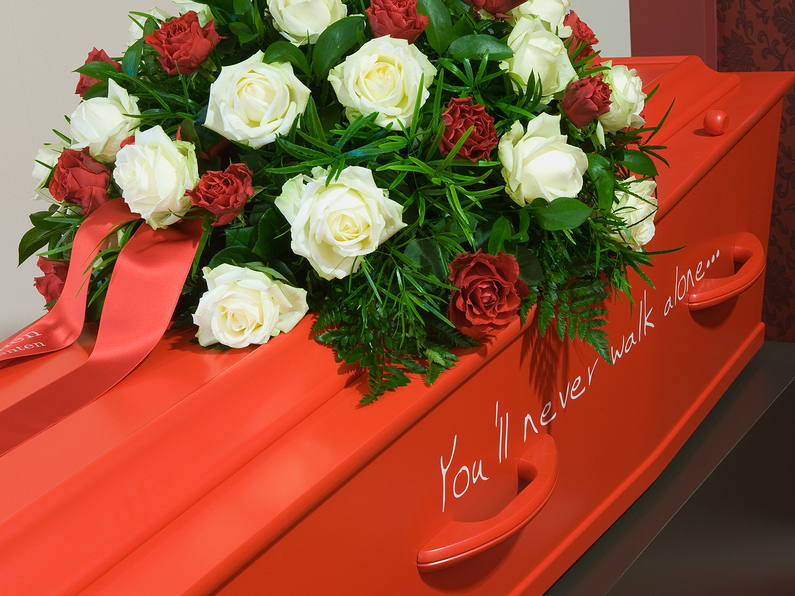 People are becoming increasingly creative with coffin and personalised casket choices as a way of celebrating a person’s life and their interests. Some coffin-makers specialise in colourful and patterned coffins, with a vast range of designs, from flowers, butterflies and stars, to music-themed designs, national flags and animals. 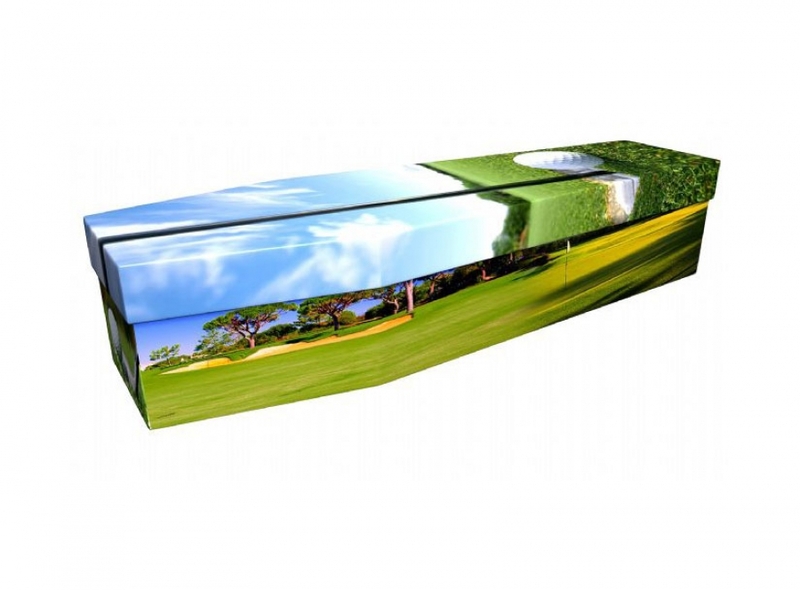 Some companies even allow you to custom design a coffin with a specific image. 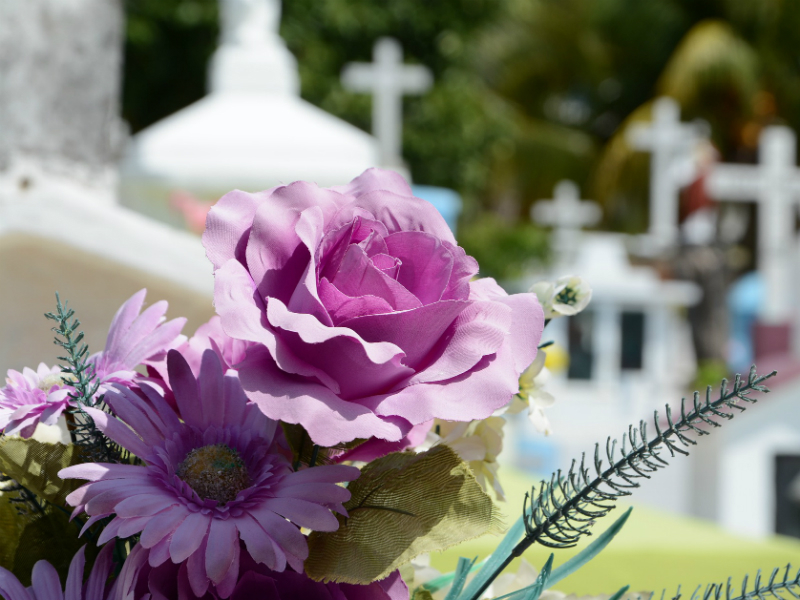 Another option is choosing a plain coffin and inviting close friends and family members to decorate it with drawings or messages for their loved one. You could use permanent marker pens, paint, crayons or stickers. Some people find that being closely involved in such a way helps them understand the grief they are feeling and say goodbye to their loved one. 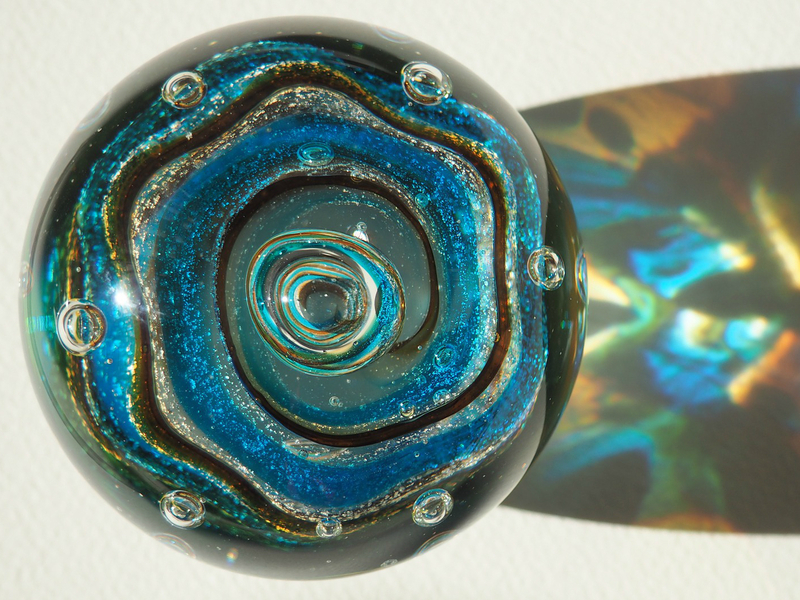 A recent innovation allows artisan glass blowers to incorporate small portions of ashes into their creations, for an unusual and beautiful tribute. John Edwards Funeral Directors are able to offer this service, with a wide choice of colours and designs. Glass spheres are popular, with bright, shimmering colours that reflect the light. You can also get glass pendants for keepsake necklaces. Order of service booklets are often handed out at funerals. Most commonly they are quite plain, with perhaps one photograph on the front cover. However, these booklets are another opportunity to personalise the funeral. The cover could be a collage of many different photographs of the person who has passed away. You might even add captions to each photo to explain where and when it was taken. Not only will this look colourful, it will also serve as a unique keepsake for the mourners to take away. Mourners who are not close friends or family may not have access to photographs of the person who has passed away, so this is a fitting way to share memories of them with everyone in the congregation. 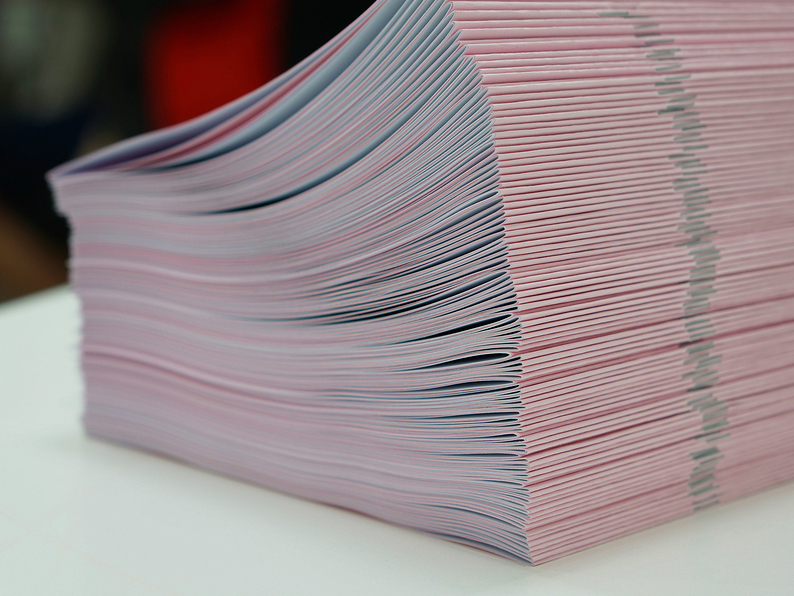 John Edwards Funeral directors are able to assist with the ordering and printing of funeral stationery – ask us what options are available. Black motor hearses may be traditional, but you may feel that something a little more special than a standard funeral car is in order . John Edwards Funeral Directors offer a wider range of transport options to match the personality of your loved one. Among the newer, more unusual types are the VW camper van hearse and the motorbike hearse. 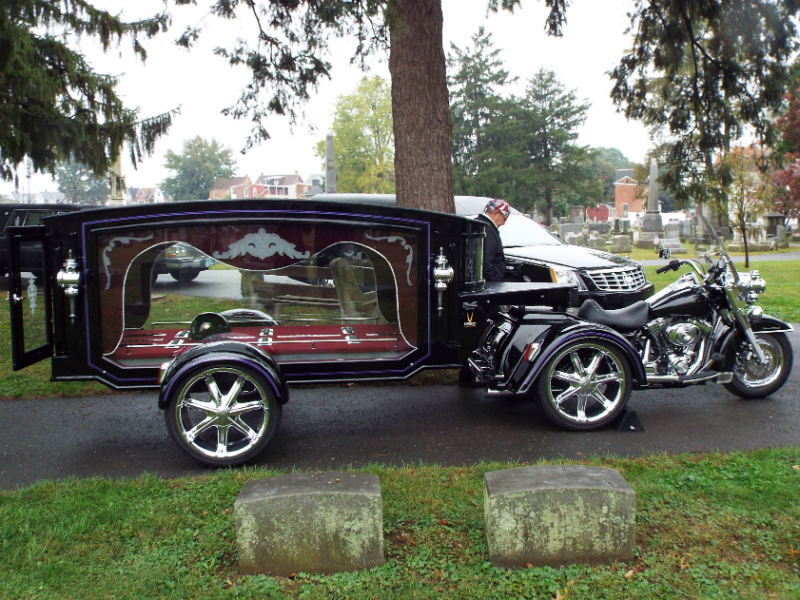 Another option is the bicycle hearse, which may be ideal if you are planning a green funeral. Using a bicycle cuts down on carbon emissions, making the funeral as eco-friendly as possible. It is becoming more and more common for people to request ‘anything but black’ for a funeral, whether that’s the dress code, hearse or casket. 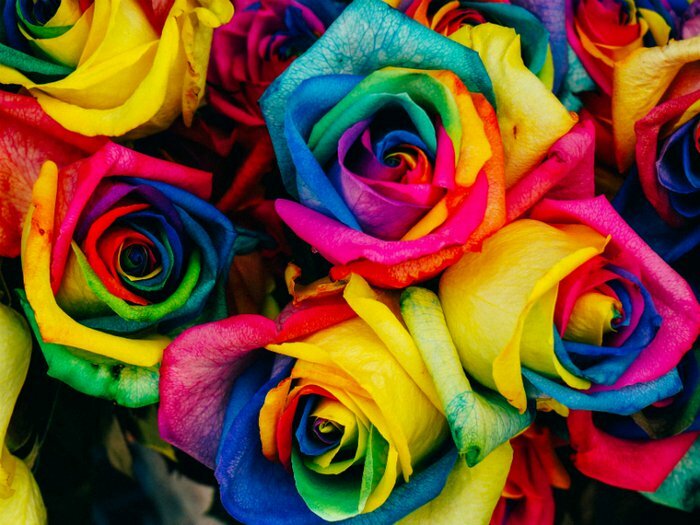 You can ask mourners to wear bright colours, or an item of a particular colour, if your loved one had a favourite. Alternatively, you could hand out flowers of their favourite colours at the entrance to the funeral service. These could then be placed onto the coffin before burial or mourners could take them home as a keepsake. When you think about funerals, you might think about stuffy flowers and boring music. If you recently lost a loved one who was a sports fan, however, you may want to do something a little more special to honour your friend or family member's life and passions. For example, a great option is to plan a sports-themed funeral. Follow these tips for a tasteful yet totally personalized memorial service that will honour your loved one in the best way possible.